Viggle and rival social TV service GetGlue were set to merge, but something went wrong. It was meant to be the first big merger in the hot social TV space, but GetGlue and Viggle have called off the acquisition plan they announced in November. Just two months ago, lesser-known Viggle said it would buy startup GetGlue for $25 million in cash, plus stock that was worth about $53 million at the time of the deal. Viggle said it would run both brands and keep GetGlue's 34 employees, with GetGlue CEO Alex Iskold scoring a Viggle senior executive position and board seat. Both companies are based in New York. But somewhere in the past few weeks, something went wrong. Iskold declined to comment further. Viggle released a short statement from CEO Robert Sillerman that barely mentioned the scrapped deal. Sillerman said simply that the merger cancellation "was cordial," and expressed his best wishes for GetGlue. Viggle has "seen impressive growth in our business" since the proposed GetGlue buy, he added. Viggle, which bills itself "the first ever loyalty program for television," is a publicly traded company. Its financial disclosures suggest that it could have had a hard time ponying up the cash for GetGlue. The company declined to comment on that point. According to its last quarterly report, Viggle (VGGL) had a mere $738,000 in cash on hand at the end of September. Meanwhile, Viggle's shares are down almost 20% this month alone, with an 8% slide on Monday after the merger cancellation was announced. Viggle is taking out loans from CEO Robert Sillerman to fund its working capital needs, according to a regulatory filing submitted Friday. Sillerman's investment company extended a $10 million credit line to the company in June. It was subsequently increased several times and now stands at $20 million. Viggle has tapped the credit line several times, including a $1 million advance it took last week. On January 8, Viggle disclosed that it and GetGlue were "discussing an extension" of the closing date for the merger -- just a few days before it was called off. And so the companies will remain on their own paths in the social TV field, also known as "second screen" apps that tap into TV viewers' use of mobile devices while they watch their favorite shows. More than a dozen startups have popped up to take advantage of the trend, with each platform taking a slightly different approach. Viggle awards users points for "checking in" through an app when they watch TV shows. 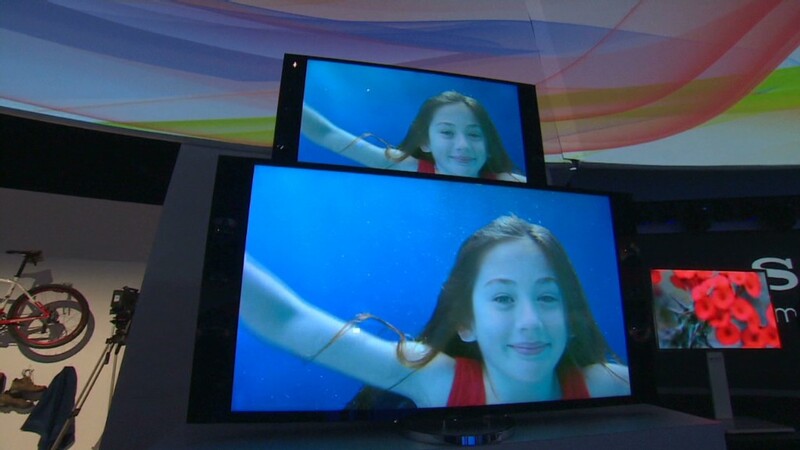 The app uses audio fingerprinting technology to identify automatically which show a user is watching. Then, users can cash in points for gift cards from partners including Barnes & Noble (BKS), Best Buy (BBY), Chili's, Apple's (AAPL) iTunes and more. 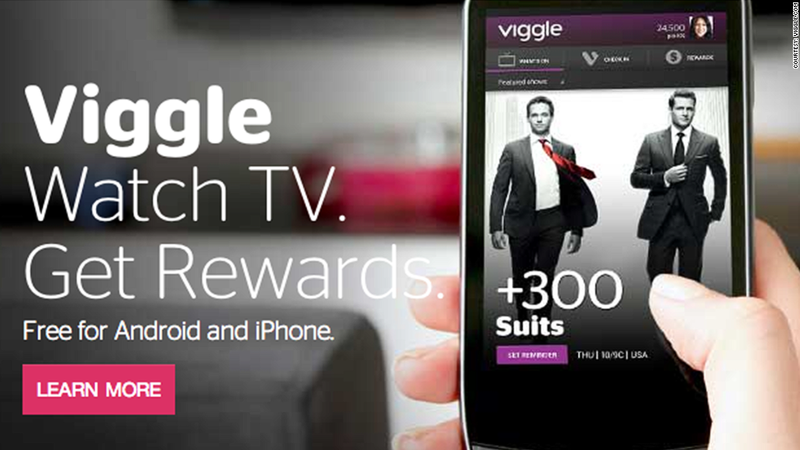 Viggle's parent company was founded in June 2010, but the TV check-in service didn't launch until January 2012. The platform's user base is now at 1.2 million. GetGlue offers a similar check-in system, though its platform particularly highlights social interactions and a personalized TV guide. GetGlue, which launched in 2007, said in November that it has 3.2 million users.